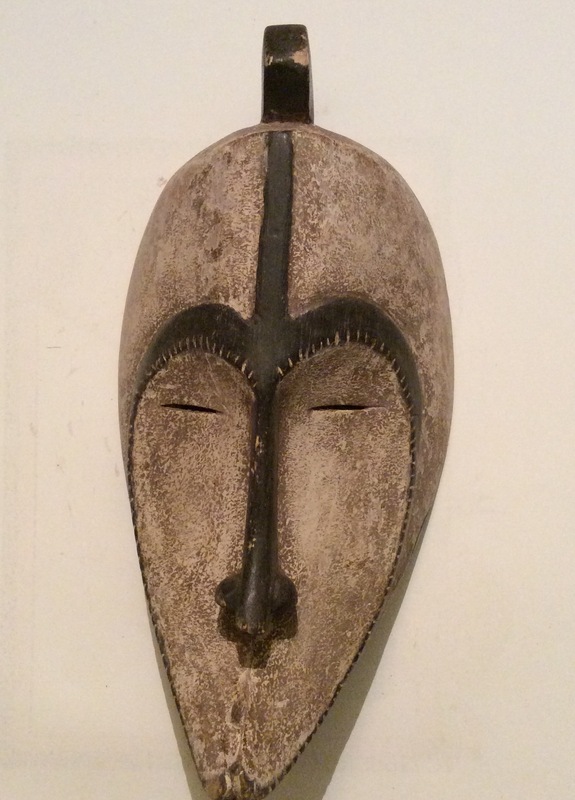 These long angular Dan masks, among the rigidly stylistic in African Art, are used for hunting ceremonies, or in storytelling by traveling entertainers. Numbering some 3.5 million, the Fang people inhabit Cameroon, Equatorial Guinea and Gabon, and speak variants of the Bantu language group. Fang society is strongly patrilineal and was known in previous years for hunting, waging war and even occasional cannibalism. They remain a powerful influence in their countries today.